While the eighth-generation Porsche 911, known internally as the 992, may seem barely distinguishable at first glance from its seventh-generation predecessor, a closer look reveals quite a few significant changes. The fenders are more muscular, with the front pair slightly flared to conceal a front track that is 45mm wider than before. 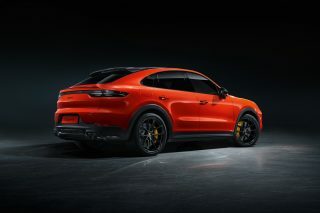 And at the back, all models in the Porsche 911 range now sport the widebody rear (and wider rear track), which was previously reserved for the all-wheel-drive and GT versions. 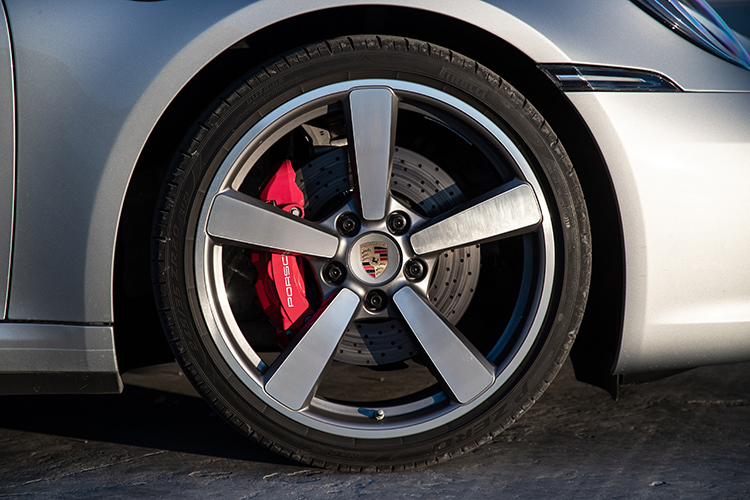 Wheels are now staggered, with 20-inch rims in front and 21-inch at the rear. A 20mm stretch in the car’s length – although the wheelbase remains unchanged – has made for a longer, sleeker rear fastback silhouette. The slightly higher-set tail is marked by a distinctive full-width horizontal LED light bar linking the slim tail lamps. Above this, a section of the rear end extends in two phases – at 90km/h and 150km/h respectively – as a spoiler to counter lift. Increased use of aluminium has helped keep weight gain to just 20kg despite the 911’s growth in size and equipment list. On the inside, the central dashboard air vents have migrated downwards, to make way for a 10.9-inch high-definition touchscreen which handles most secondary functions. But thankfully, climate and volume controls are still managed by physical dials and switches located just ahead of the gear lever. The gear lever is now a stubby rectangular block, like an oversized toggle switch. 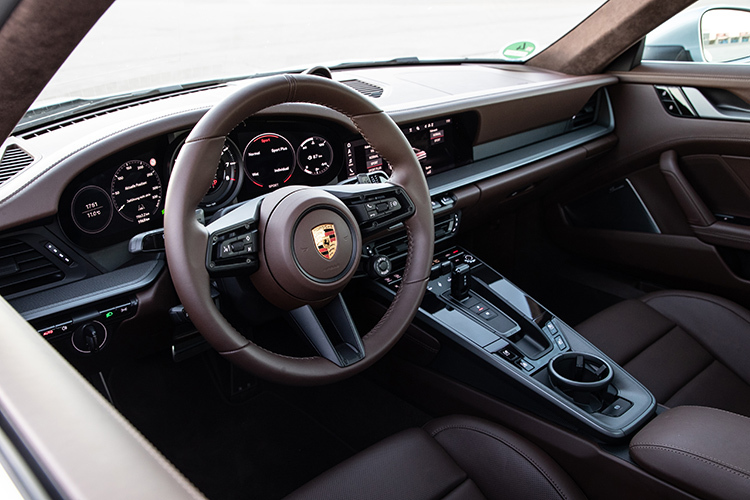 And for the first time on a Porsche 911, there is keyless ignition – firing up the car involves turning a rotary lever next to the steering column, where you would previously have inserted the key. 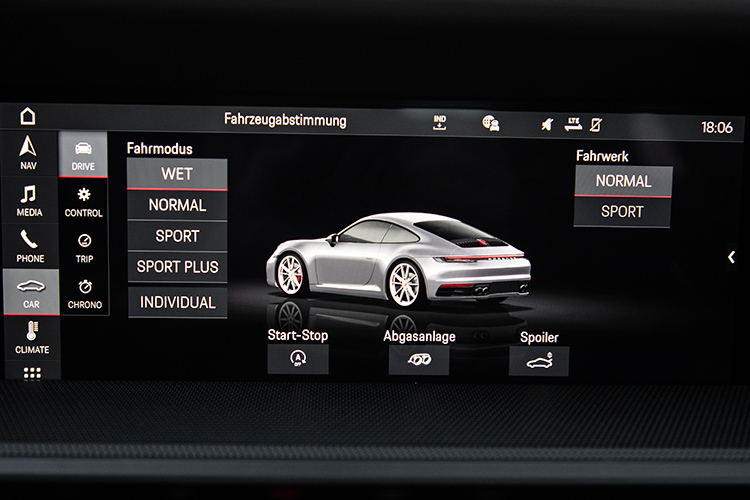 Apart from the usual host of electronic safety systems and driver aids, the new Porsche 911 has one more – the Wet mode. Acoustic sensors in the front wheel arches will detect wet surfaces, prompting the driver to activate the Wet mode. This will adjust throttle response and traction control settings to maximise stability. Clever stuff. 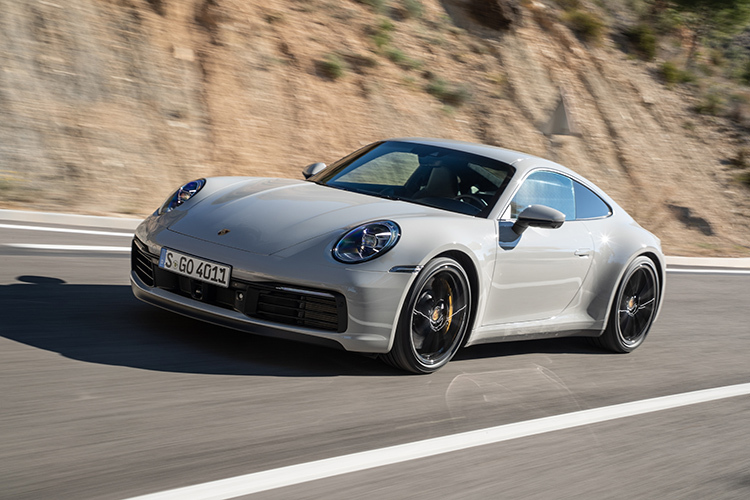 The only powertrain currently available is the one-above-base Porsche 911 Carrera S version, which as before is a 3-litre twin-turbocharged flat-6. 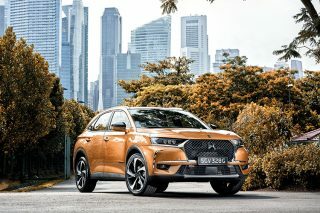 Major tweaks include larger, symmetrical turbochargers, intercoolers repositioned to immediately behind the air intakes rather than behind the rear wheels, a newly designed air intake layout and faster-acting injectors. 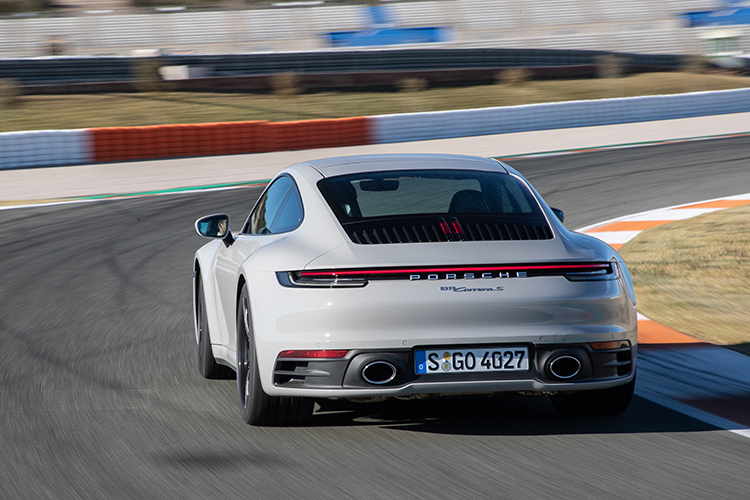 Power is up by 30bhp to 444bhp, matching the output of previous Porsche 911 GTS. 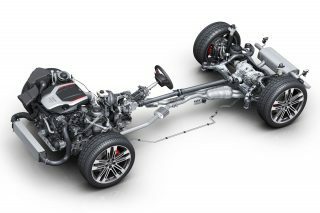 The dual-clutch gearbox now has one more ratio, bringing the total to eight. Equipped with an optional Sport Chrono pack, the rear-wheel-driven Porsche 911 Carrera 2S will hit 100kmh in 3.5 seconds, and a top speed of 308kmh. A 7-speed manual will also be available. So the Porsche 911 has even more ferocious pace now, but is more civilised too. The car is more composed, soaking up bumps and ruts in almost saloon-like fashion, and road noise is better suppressed. So too is engine noise, unless you choose the Sport mode, which opens a flap in the exhaust to let out more of that flat-6 wail. And it makes a great aural accompaniment to the engine’s delivery, which is immensely punchy yet beautifully linear from idle all the way to the 7500 revolutions per minute redline. 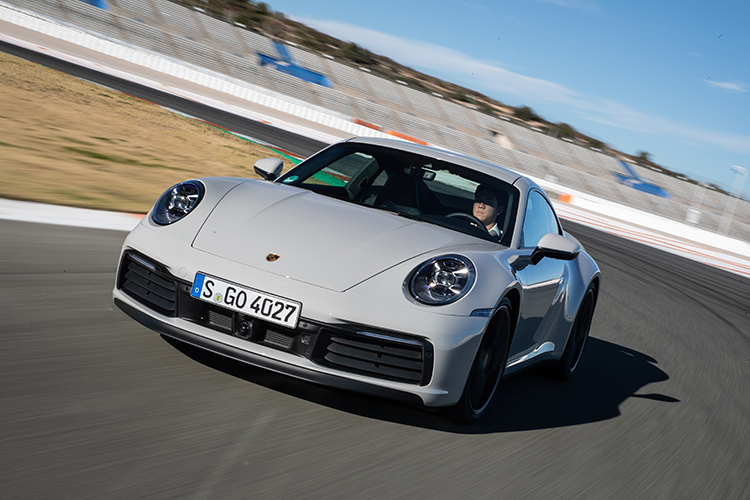 The brake pedal is reassuringly firm and easily modulated and the brakes themselves – I had an optional carbon-ceramic on the test car – are immensely strong and fade-resistant, as proven on the brief track session. The Porsche 911 corners better than ever. That wider front track makes for massive front grip, quelling the old car’s slight understeer in tight bends and letting you dive into turns with far more commitment. And once into the bend, the weight of the engine sitting over the rear wheels gives superb traction, allowing power to be applied as early as you dare. On narrow, hilly roads, the Porsche 911 and its optional rear-wheel-steering is a godsend, swivelling the car so keenly that even the tightest hairpins are tackled without frenetic twirling of the steering wheel. The steering is more meatily weighted than before and demands a firm grip down a twisty stretch. But there is also a wealth of feedback coursing through that leather rim to your palms. The previous Porsche 911 was a gem, but Porsche has polished it further. There is a truly brilliant new car under that familiar shape.